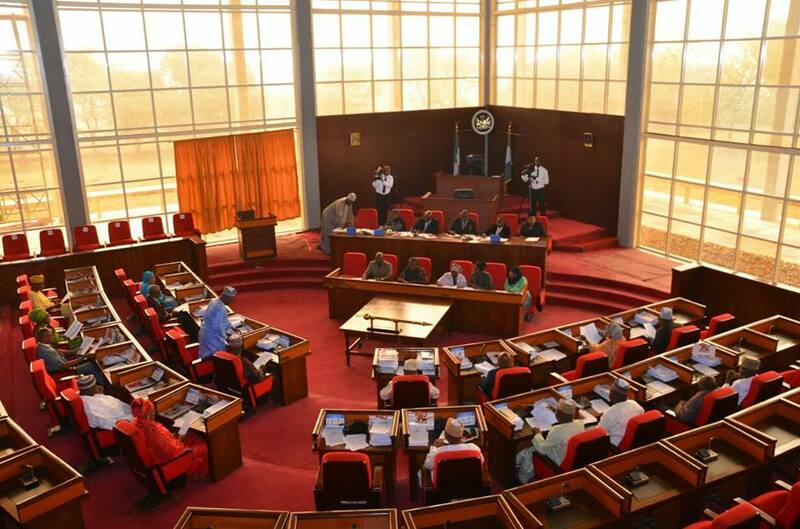 The Kwara State Governor Alhaji Abdul Fatah Ahmed has forwarded the list of 19 Commissioner- nominees to the State House of Assembly for Screening and confirmation by the legislature. The Deputy Speaker, Chief Mathew Okedare, gave this indication in Ilorin while reading the Governor's message dated May 8th addressed to the speaker, Dr. Ali Ahmad at the floor of the House. The Commissioner- nominees, according to the Deputy Speaker who presided over the Tuesday's sitting ,were Ademola Banu Irepodun, Eleja Taiwo Banu, Ilorin West, Ahmed Alhassan Edu, Uhman Kolo Rifun Patigi, Hon Amos Sayo Justus, Ekiti, Hon Sabi Baba Isiak Baruteen, Bamidele Adegoke Olamide Oke Ero, Hon Olaniyi Muideen Alalade Oyun, Kamadeen Ajibade (SAN) Ilorin West, Aro Yahaya Ifelodun, Hon. Surajudeen Akanbi Ilorin East and Hajia Taiba Ayinde Ahmed Offa and Alhaji Saidu A. Habeeb Asa Local Government Area. Others were Agboola Julius Babatunde Isin, Dr. Ahmed Susa'ade Aminat Kaiama, Barrister Abdullah Alikinla Moro, Wasiu Odewale Ifelodun and Yusuf Abdulqodir Ilorin West Local Government Area. The Governor, who said he had taken congnisance of the provisions of the nation's constitution , called for speedy confirmation of the nominees to fast track implementation of policies and programmes of his government. The Deputy Speaker then directed the Clerk of the House, Alhaji Ahmed Katsina Mohammed to ensure that all nominees completed necessary documentation for their screening and confirmation on Tuesday next week. The House equally at Its Tuesday sitting received the chain Saw Men (Registration and Control) Amendment Bill 2018 and Charcoal Production, Transportation and Sales (Prohibition) Amendment Bill 2018 for passage into Law. Meanwhile, the Speaker, has enjoined the Standing and Ad-Hoc Committees of the House to continue to discharge their duties with renewed zeal and resilience to sustain the task of providing platform for governance for the people of the state. The Speaker in his address to welcome members for the last lap of the third session, assured that the House would handle it's oversight functions with more vigour to ensure that the dividends of democracy as contained in the 2018 budget are delivered to the people of the state.